Tonight, we're gonna party like it's nineteen-ninety-2008: Retailers are once again selling Wiis faster than they can get them in. 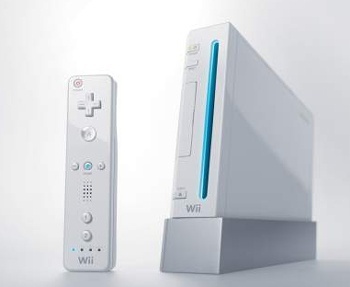 For a good long while after Nintendo's plucky little Wii hit shelves, you simply couldn't find one. It was like Tamagotchis met Tickle Me Elmo met crack cocaine, only people of all ages and beyond were trying to get their hands on that little white box (as well as accessories like Wii Fit). In 2009, though, it was a different story for the Wii, as a severe sales slump led Nintendo to slash the price for the console for the first time since its launch. A record-breaking December ensued ... and now, the Wii is once again becoming difficult to find, it would seem. "We're still getting [Wii] in, but it's just slow. We've tried getting more from other stores in our district, but we're just selling out too fast," a Best Buy employee told Joystiq, a statement echoed by many other retailers, both online and brick-and-mortar. However, a GameStop manager reportedly said that this was simply a seasonal thing, and was, in fact, expected in the post-holiday time period. If the shortages continue, we might as well hazard a guess that the Wii has caught its second wind - or perhaps it's just that production reduction we learned about back in December. It could go either way, really.